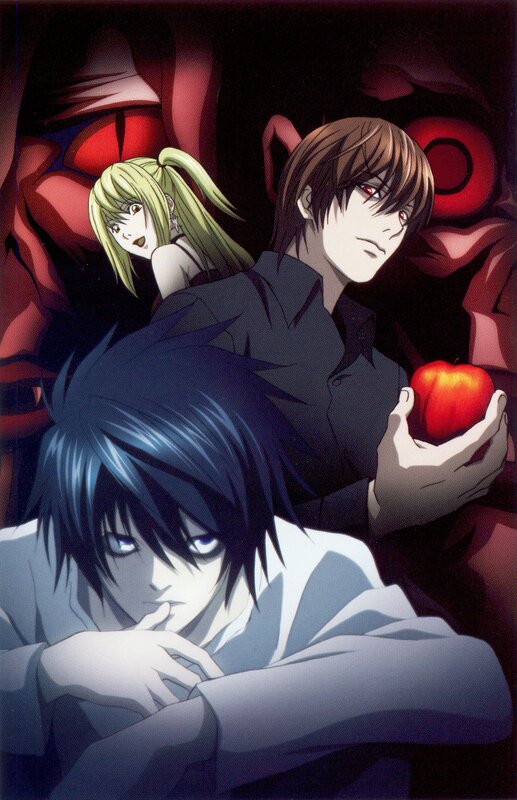 UN SCAN GENIAL DE DEATH NOTE!? Me Encantan Ryuk & Rem en el Fondo...MUCHAS GRACIAS!? This is the best! I've never seen at this one before... thanks! L is so awesome and so is his expression. it, reallyyyyyyyy nice.thanx for this scan. L's my favourite character in all the story! I like this... Thanks for scan! Raito, Misa and L in that picture. Awesome. esse wallpapers e muito legal!